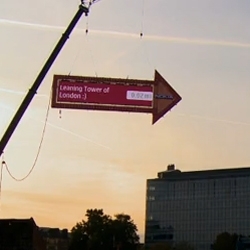 Making of - The Worlds Biggest Signpost. A 50 meter tall interactive structure that points out peoples favourite locations all around the world. By Swedish based Farfar advertising agency, for Nokia.